Too Much Sauce 1430 N Mills Ave Suite #170 Orlando. 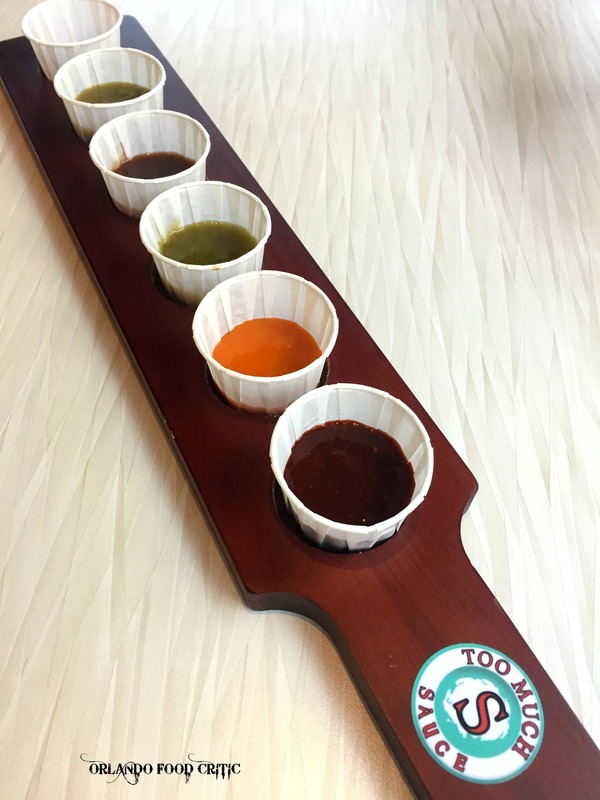 Too Much Sauce is the brainchild of local entrepreneur and businessman Evan Dimov. Evan has been at the forefront of innovative restaurant concepts from Pizza to Panini all around the Orlando area with his latest venture offering scratch made bowls and sauces in the ever popular Mills 50 District. First, let’s set the record straight, the name “Too Much Sauce” relates to an attitude rather than a surfeit of condiments, the term being urban slang for having loads of confidence. Using the now tried and tested method of combining signature dishes with build your own versions, Too Much Sauce creates flavor infusions in every bowl, combining complex tastes and enhancing them with suggested bowl sauces, but also giving you the opportunity to take your bowl to the next level with numerous combinations of fresh sauces, all prepared onsite using only fresh herbs and spices. 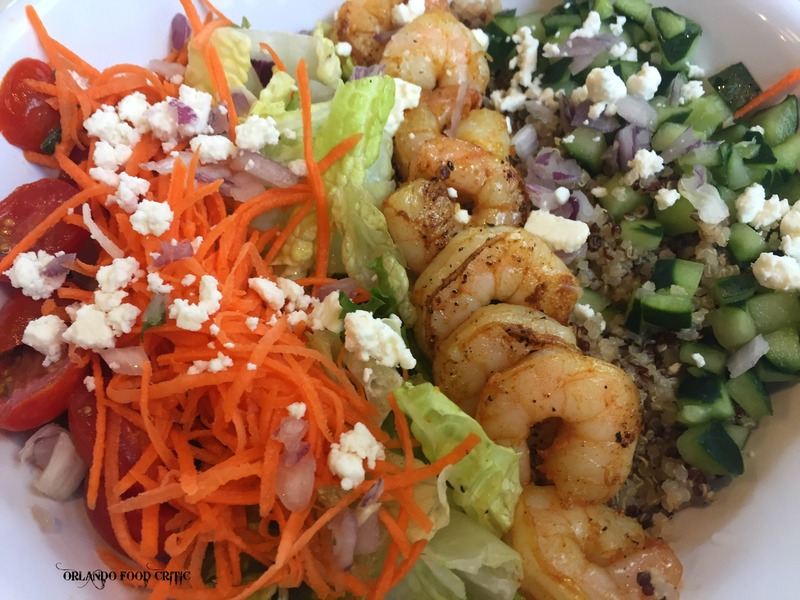 Mediterranean Shrimp Bowl – Quinoa, Lettuce, Shrimp, Grape Tomatoes, Cucumber Salad, Carrots, Feta, Red Onions served with a Greek herb sauce. Perfectly grilled shrimp and as with all the bowls we tried, a superb balance of flavors. The Greek herb sauce was perfect with this bowl. 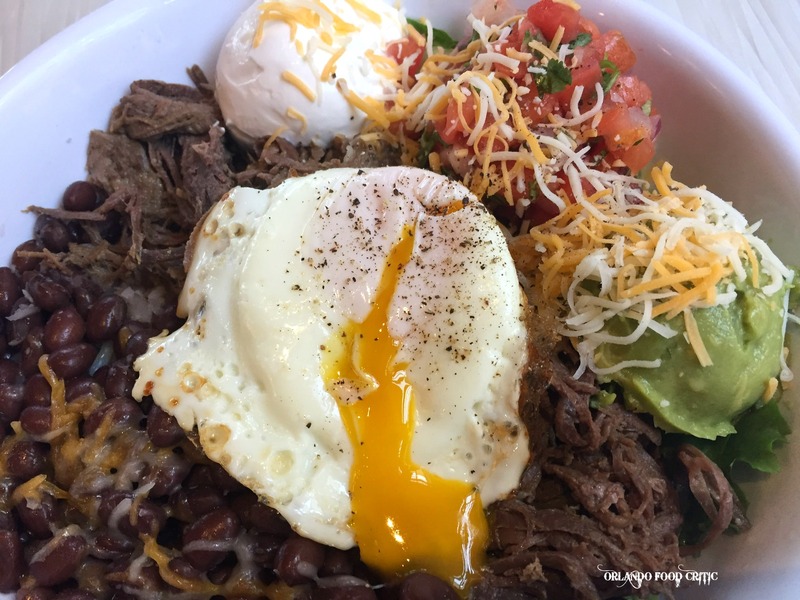 Sauce of The Border – Slow Roasted Beef, Rice, Beans, Pico de Gallo, Lettuce, Shredded Cheese, Sour Cream, Guacamole served with Chimichurri sauce. Melt in the mouth shredded beef and a fusion of other flavors in every bite. We added a sunny side egg to the dish and Coconut Carrot Ginger sauce. Almost like having two meals in one. But one word, Outstanding. The sauces available are too numerous to mention but can range from Roasted Tomato Salsa to Coconut Ginger as well as “Beet it Up” to Jalapeno Cream. Additional Hot Sauces range from a one rating and elevate to some serious heat. Some examples are – Ghost Pepper – Green Jalapeno, Strawberry and Serrano Pepper and Caribbean Chili. Too Much Sauce also gives some recommendations on how best to pair these sauces with your bowl but great to just experiment. Too Much Sauce say that their food is made from scratch, using fresh ingredients and all natural roasted meats making food that is both delicious and affordable. We would not disagree. As if the food alone wasn’t enough reason to give them a try, they have now also introduced “Happy Hour”. Daily from 4pm-8pm, buy any regular Bowl and get a Beer or Wine for ½ off! !